This is, obviously, the end of the well-known story. Noah has packed the ark with two of everything and they have spent months cooped up as the rains pounded outside and the flood waters covered the face of the earth. Then he sends the bird out, which returns. He tries again and again and finally, the bird does not return and he assumes that the waters have seceded enough for them to venture out. They begin to load off the ark, probably wondering what they would find. And now God speaks. And God brings a new covenant, a new promise that from now on all of Creation will be with God, never to be cut off again. And the now-familiar sign appears for the first time—a bow in the clouds, a hint of color as the rains move away, a sign of the promise that God has made. We understand the familiar rainbow as a sign of God’s promise. We look at it and we feel at ease. God will take care of us. In the Celtic tradition, though, the rainbow is a threshold, a bridge between what is and what will be. It’s another Celtic image of one of those “thin places”, places where the air is so thin that what will be can be glimpsed, if only for a moment. Now we can either look at this story as a sort of children’s story, complete with rainbows and pairs of elephants and zebras or we can look at this story as one depicting a deity who was so angered by the rebellion of the Creation that God wiped it off the face of the earth. Truthfully, neither one works. Indeed, this is a story about rebellion and human sinfulness. (And to be honest, what story is NOT?) But the whole point is that no matter how far the human creation wandered from the Creator, there was a calling back, a return, an offering of love and forgiveness and a chance to begin again. Now, that’s hard for us to fathom too, possibly because we are not good at offering each other “do-overs”. We are not good at understanding a God who would dispense with all means of justified destruction and just offer Presence and Grace and a future filled with hope. It is hard for us to imagine that no matter what we do, no matter what we screw up or blow up or make up, God is offering a chance to return, a chance to be recreated into something that only God can imagine. In fact, if you read the whole thing, it was God who showed regret. It was God who changed the course of punishment, regardless of how justified it may have been. It was God that offered a chance to begin again. God offers all of Creation a new beginning. It is not a “different Creation”. God doesn’t erase the chalkboard and start writing history again. Rather God takes Creation as it is—sinful, rebellious, human, hurting, afflicted—and breathes grace and mercy in infinite measure into it so that THE creation becomes a NEW Creation. In this Lenten season, we will often find ourselves surrounded by darkness. We may find ourselves mired in despair. We might somehow turn up on a road that we never intended to travel. In fact, sometimes we find ourselves in hell. But these are never the final word. Even when tales of a place called Golgotha begin to swirl around us, there is always something more. When we come to the end, God will be there to beckon us into the arms of grace that we might begin again. God has promised recreation. What, for you, does this “threshold” of the covenant represent? In what way is this whole season of Lent a “threshold”? Why is it so difficult for us to fathom a God who offers a new beginning? First Peter is one of the general or catholic epistles. These letters are not attributed to Paul and they are primarily addressed to a group of churches, rather than a specific particular church. 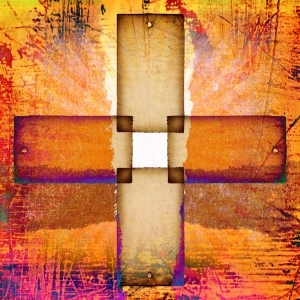 This letter speaks to the condition of the churches as they are alienated from the surrounding society and for Christians who in a lot of ways were slandered for their faith. To those who first heard the words in this letter, it was a promise that the powers that were affecting and controlling their lives would not be forever. For this reason, it often provides comfort for believers in troubled times. It begins with a reminder of Christ’s suffering, without which it would not be possible for us to follow Christ to obedience and encourages readers to not be ashamed of needing to face suffering. The Old Testament reading that we just read provides the data for the claim here that eight persons were on Noah’s ark and reminds us of the covenant made by God with Creation. The flood is used as an analogy for Christian baptism and the whole process of coming to faith. Here baptism, or cleansing (just as the earth was cleansed in the flood) is a resurrection, a re-creation. The whole point is that believers do not need to fear suffering nor fear the powers that be. Their faith and their Baptism has joined or bridged them with Christ. Christ’s story becomes their story. This is not necessarily a classic salvation tale to which we are accustomed. The writer of this epistle is not preaching the notion of being “saved”. Rather, the reader is being assured of the hope that baptism brings, of the promise of becoming new, recreated, indeed, resurrected. It is a reminder that in baptism, we return to our Creator and we return to the waters in which we were created. And we begin again. For those to whom this letter was written, it was an assurance that the way life was now was not permanent, that the God of Creation was already recreating them into a life beyond what we see, beyond what we know. It was a reminder that the swirling chaos around them and around their church would indeed, like the flood waters so long before, subside and that life would indeed begin anew. In fact, even the powers of hell cannot impede the recreation that is happening all around us. Now our church chooses to recite the more sanitized version of the Apostles’ Creed but there is an older version that dates back to the 5th century that goes like this: “I believe in God the Father almighty, maker of heaven and earth; and in Jesus Christ, his only Son our Lord, who was conceived by the Holy Ghost, born of the Virgin Mary, suffered under Pontius Pilate, was crucified, dead, and buried. He descended into hell.” That last sentence is believed to have been loosely taken from this passage. We read that Jesus proclaimed even to the “spirits in prison”. In other words, Jesus descended into hell. And, there, he blew the gates open and the eternally forsaken escaped. In the Middles Ages, it was referred to as the “Harrowing of Hell”. Now, admittedly, there is little basis for this theology but if death hath no sting, why would hell win? If God’s promise extends to all of Creation, then perhaps hell really hath no fury. Now this is in no way a lessening of the impact or importance of sin. We all know that. We sin. We try not to. But we sin. But even the powers of sin are no match for the promise before us. The writer probably didn’t see baptism as so much a cleansing but, rather, a claiming. We are claimed. The water washes over us and the act of being made new begins. Perhaps this Lenten season of penitence is not so much a call to grovel at the feet of a forgiving God but rather to faithfully follow this God who beckons us home again to begin again. Maybe it truly is the harrowing of whatever hell we find ourselves in. But in order to do that, we have to name our sin and release its power. It’s part of our story. It’s part of what we must tell. And with that, the waters subside and the green earth rises again. What meaning for Lent does this passage provide? It is hard for many of us to imagine “suffering” for our beliefs. What does that mean for you? In what ways is this Scripture sometimes viewed differently? How do we in this day and age talk about sin? How do we reconcile the modern notion of “hell” with this passage? Once again, we read the account of Jesus’ baptism, a reminder of our own baptism and the covenant and promise that God has made. The writer of Mark then goes into the forty day temptation of Jesus in the wilderness and a summary of Jesus’ ministry. You will remember that the way Mark depicts this, the heavens are “torn apart”, ripped open, if you will, as the barrier between heaven and earth is shattered. Jesus, here, is the intersection, the bridge, between the two. Jesus is the thin place, the threshold of God. Then Jesus departs into the desert, the place of wildness and wonder. 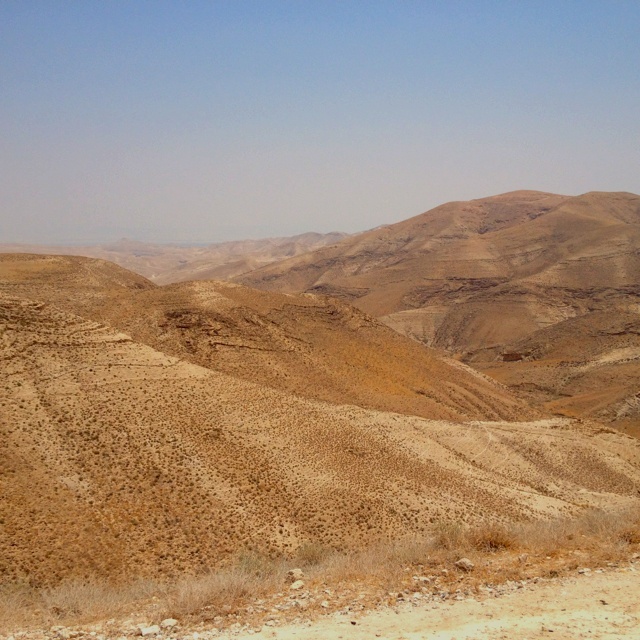 Think about all the stories of wilderness—Israel passing through the wilderness toward liberation. In the same way, Jesus is liberated from the world and we with him. Preparing for this liberation is a journey and involves struggle. For some the struggle is overwhelming. But God is leading us all. During Lent, we often focus on the temptation (the “Satan” part of the story). But looking at it this way, the desert becomes the threshold through which we journey. It is a time for preparation, a time for readying oneself to claim who God calls you to be—God’s beloved child. And the only choice one has is to repent, to turn around, to change. In this passage, Jesus proclaims that “the time is fulfilled”. He will not use that language again until the Passion begins. Mark’s Gospel story begins in darkness. It begins in the wilderness. It begins in hell. The Spirit had driven him there. Now, our version of the wilderness is sometimes very difficult to grasp. In our world of perfectly manicured lawns and perfectly coiffed houses, we usually do everything in our power to avoid wilderness in our lives. Wilderness means to us some sort of deprivation and, thus, a loss of power. We do everything we can to see that our lives stay exactly where we want them. We take a pill when we have a pain. We use cosmetics so that we won’t look our age. And who of us would ever be caught without access to a telephone? The wilderness is the thing that we are always trying to run from. The wilderness does not fit into our carefully thought-out plans. Jesus did not see deprivation but, rather, an emptying of himself before God. In fact, if you think about it, Jesus’ baptism propelled him into the wilderness. Maybe that’s our problem. Maybe we missed our wilderness. Maybe we missed our emptying. This emptying brings us in touch with what we really need—and nothing more. Without our pills and our cosmetics, our cell phones and our tablets, our GPS and our step-trackers, we are vulnerable. Thank God! For when we are powerless, when we are vulnerable, where do we go? We look to the only place we know. Because even we, who are normally so in control of our lives, must look to the compass if we do not know the way. And there, we become acutely aware of God’s ever-presence. It is only when we have truly emptied ourselves that God can fill us with God and there we are nourished and fed by those things for which our souls truly hunger. From this we can grow in God’s spirit. That’s what Lent is—it’s a pilgrimage through an intentional wilderness. These forty days are our emptying time—the time when we strip all of our preconceptions away and meet God where God is—right there with us. We do not walk this road alone. God is always there. And when we are tempted to once again take control, God will still be there. Lent is the time when we allow God to work on us that we might burst forth on Easter morning in radiant bloom.